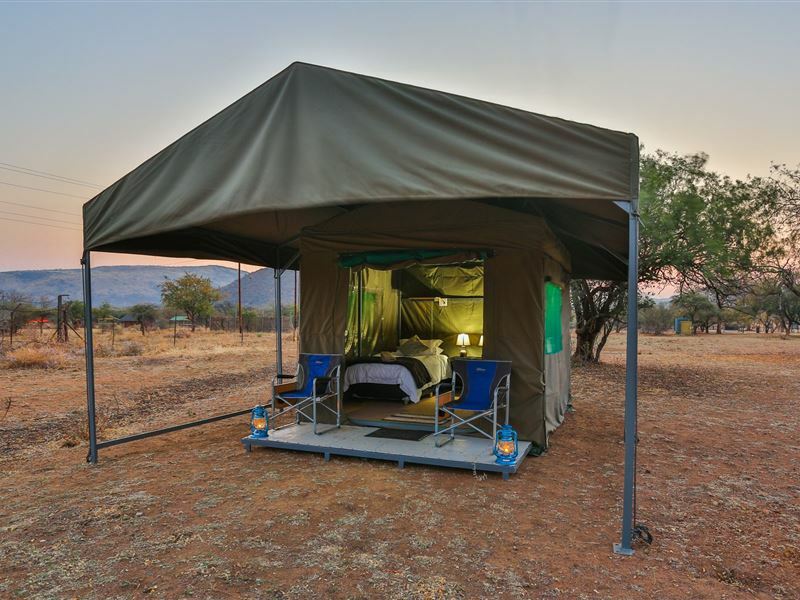 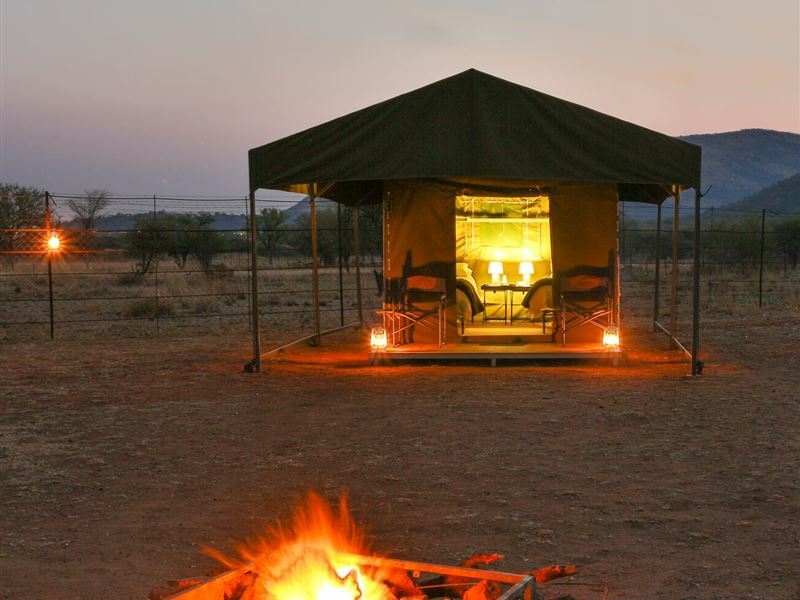 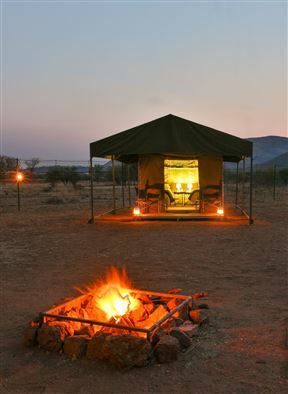 Tented Adventures Pilanesberg is situated in the wondrous Pilanesberg National Park, home to the Big 5, and offers an authentic tented safari experience. 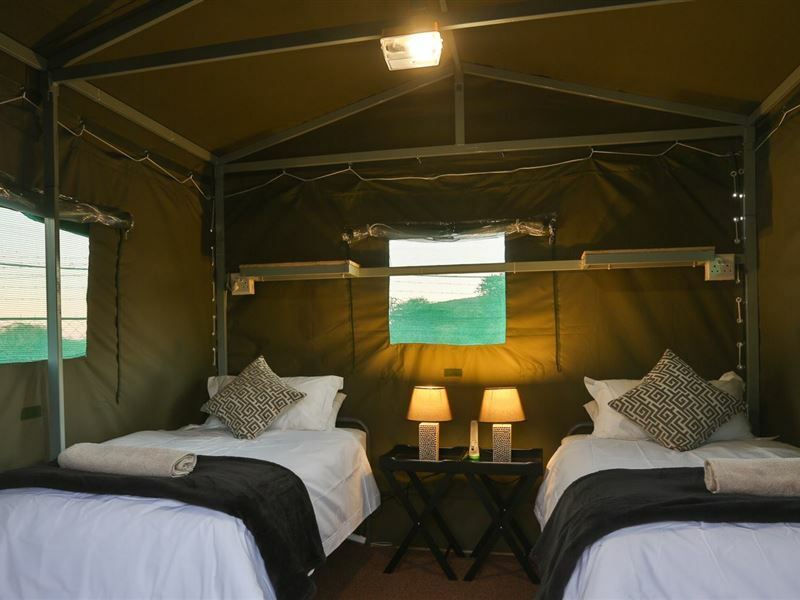 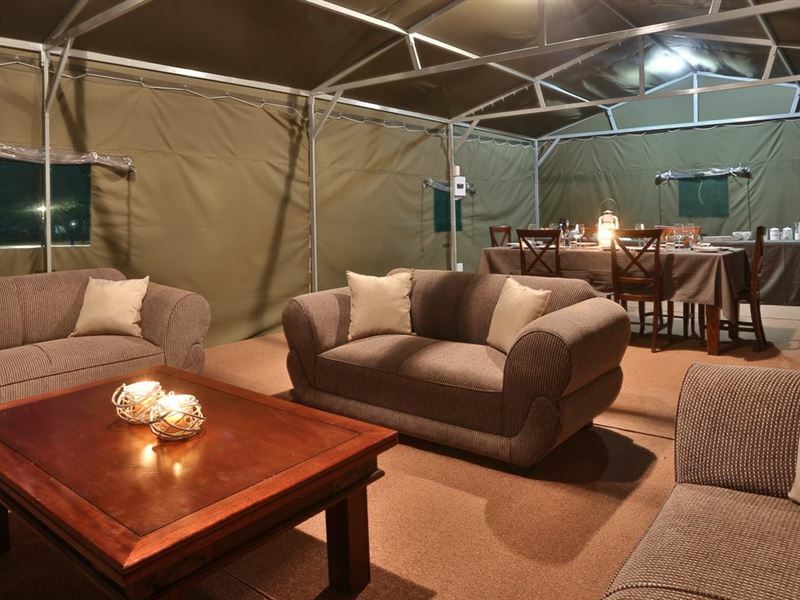 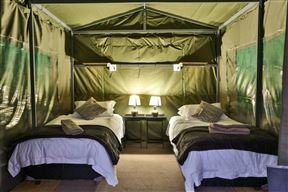 The tented camp comprises of comfortable twin-bedded accommodation in canvas constructed tents, which furthermore feature standing fans, electricity, and shared bathroom facilities. 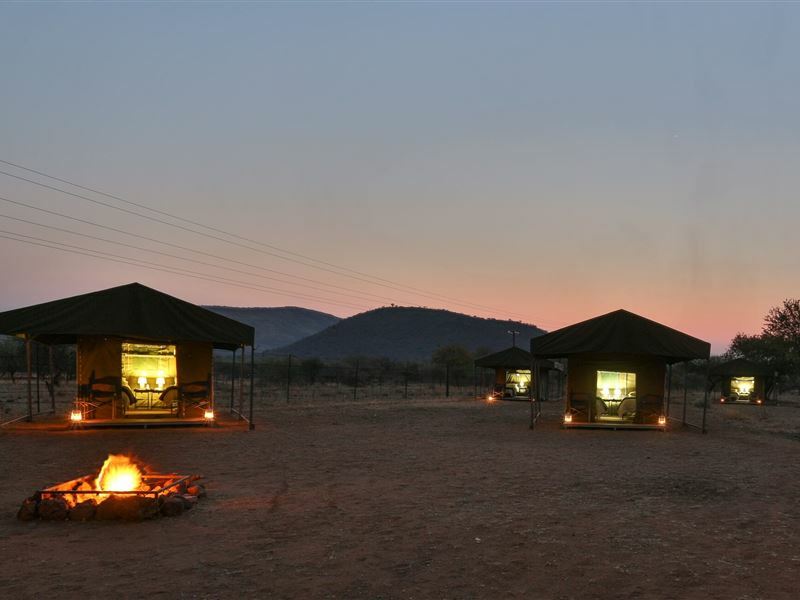 Pilanesberg also offers guests morning and afternoon open vehicle game drives, full English and continental breakfasts with a braai dinner, a swimming pool, parking on the premises, and return road transfers from Johannesburg and Pretoria are available. 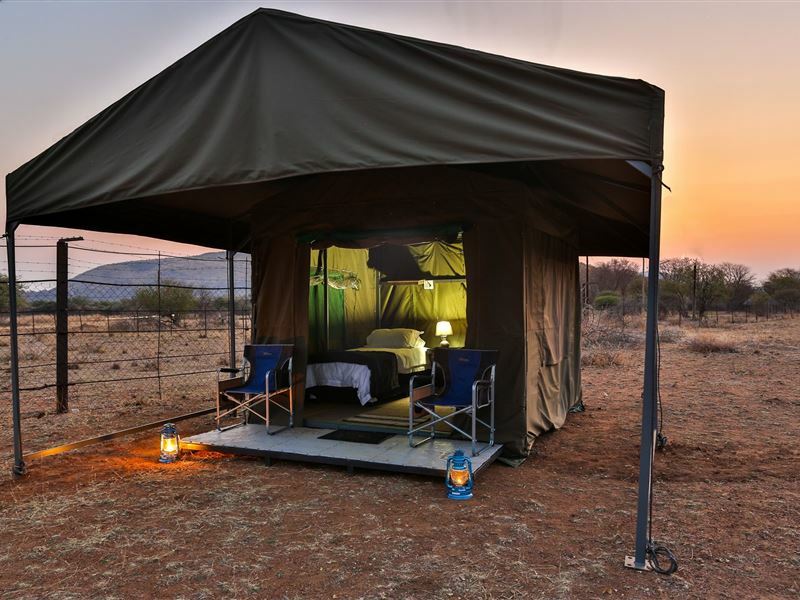 Guests can enjoy the stunning natural surrounding have to offer, or venture out to local towns to explore native attractions. 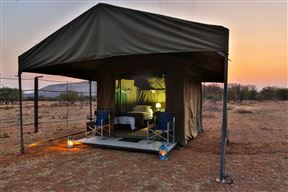 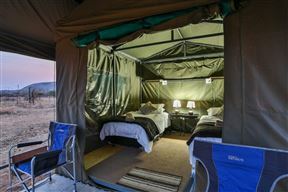 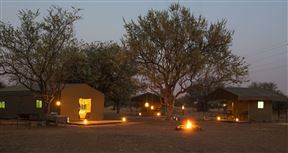 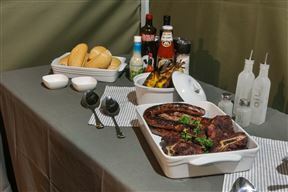 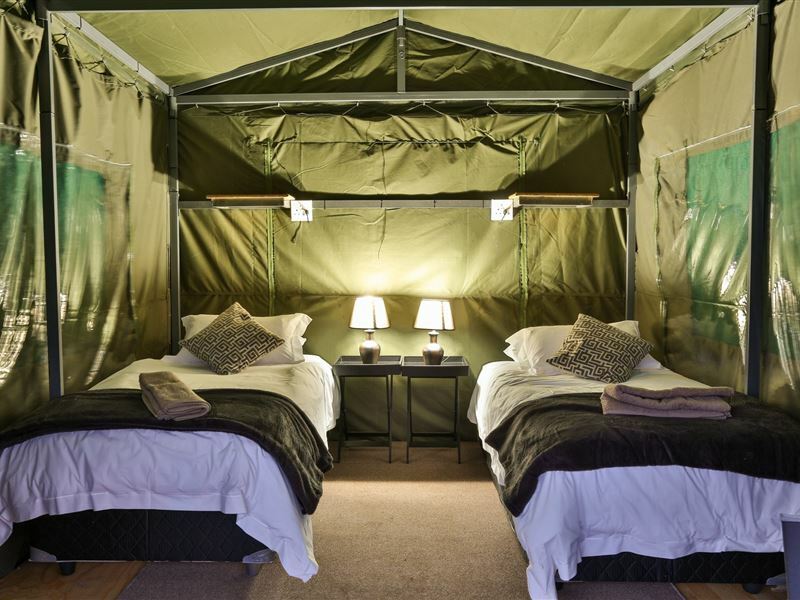 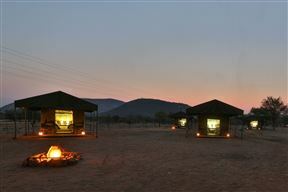 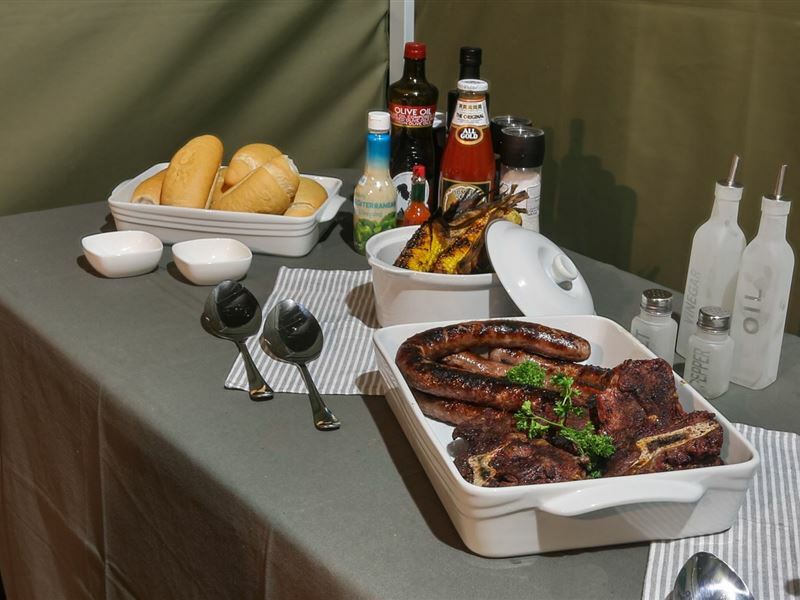 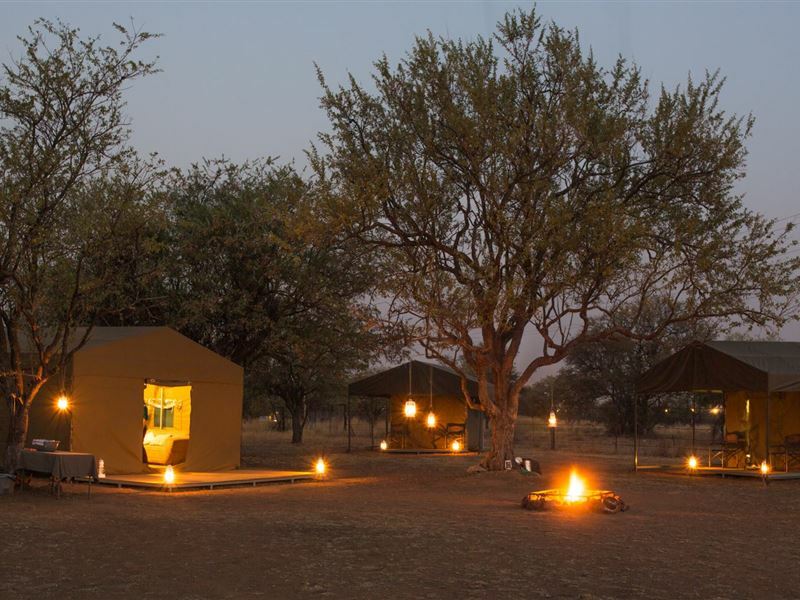 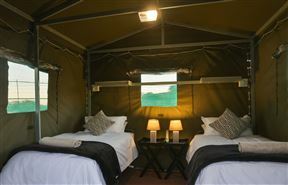 The canvas built Safari Tents are set on decks with twin beds, fans, electricity, and shared bathroom facilities.